Okay, originally my find of the week was going to be a Cub Scout shirt with patches. (I have a weakness for uniforms…particularly uniforms that sport embroidered names or patches.) But when my oldest daughter got home from work and I showed her the shirt, she gasped and said, “I love it! Can I try it on?” It fit her perfectly. She asked if she could wear it out that night and letter begged to buy it from me. Probably one of the coolest $7 shirts she’s bought! But today I treated myself to an estate sale. It had been open for a few hours last night, so it had been picked over a bit. Stuff was either high end (clocks, art, slot machines) or nothing special. 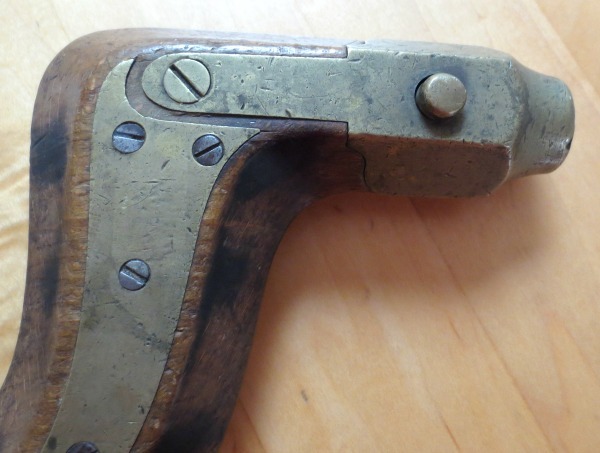 But I did see an old wood and brass brace drill tool and loved the way it looked and felt. But gosh what did I know about tools?? I put it down and went on to other rooms. I came back and picked it up again…and put it down again. This happened three times!!! Finally as I was holding it for the fourth time an older couple happened to be in the room too. The husband said “Wow, that’s a nice old drill. They don’t make them like that anymore.” “I love the patina,” I replied and he nodded in agreement. After that I didn’t put the tool down on the table but put it into my bag. Enough with dithering over it! 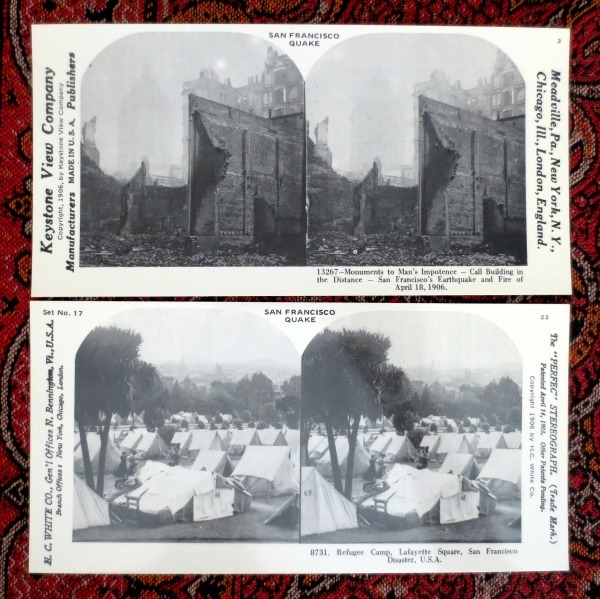 My one bit of folly was buying what I thought were original stereo view cards. Back in the car, looking at them more carefully, it was so clear they were repros…and it said so on the back! They were produced in 1978 by Stereo Classics Studios. I think I was just too excited by them and didn’t read the small print on the back or look at them carefully. Noob mistake. In the end I had bought quirky sets of Victorian risque, Satan images(!) and San Francisco after the 1906 earthquake. 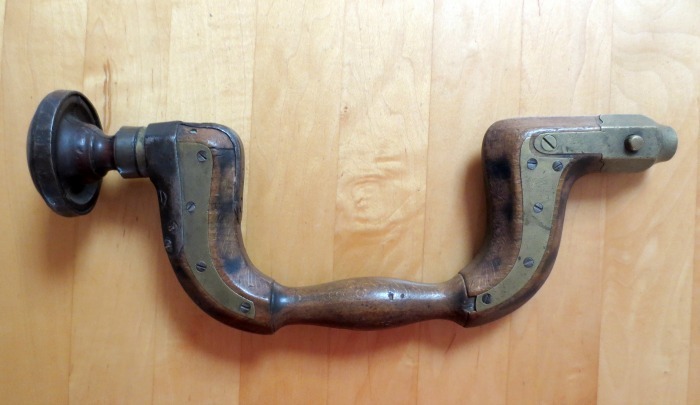 Well, I’m planning to hit a few garage sales this weekend, but I know that the antique tool is my find of the week…it’s just…that…fabulous! And if no one buys it, I’m happy to keep it! What’s your find of the week?? I love old tools too- and there’s quite a lot of collectors – if you can find the maker that will add substantially to it’s interest.